The skyline of Sydney, with its iconic waterside Opera House and Harbour Bridge, rightly draws visitors from across the globe. Laid-back yet sophisticated, historic yet contemporary, Australia’s largest city boasts everything from perfect beaches to stunning arts spaces. But if that isn’t enough for you, hit the road and you’ll discover an even greater number of fascinating attractions. Read on to uncover the best day trips from Sydney. Covering a mighty 268,000 hectares and just 80 kilometers (roughly an hour’s drive) west of Sydney, Blue Mountains National Park offers great hiking and bushwalking opportunities through eucalyptus forest and grassland, and phenomenal views from its mountain lookouts. Perhaps the best known is the Three Sisters rock formation, three fingers of rock that rise several hundred meters from a narrowing ridge over the Jamieson Valley. Home to the world’s steepest rail line — the Katoomba Scenic Railway — this UNESCO World Heritage Site is also popular for canyoning, abseiling, rock climbing, and mountain biking day trips from Sydney. 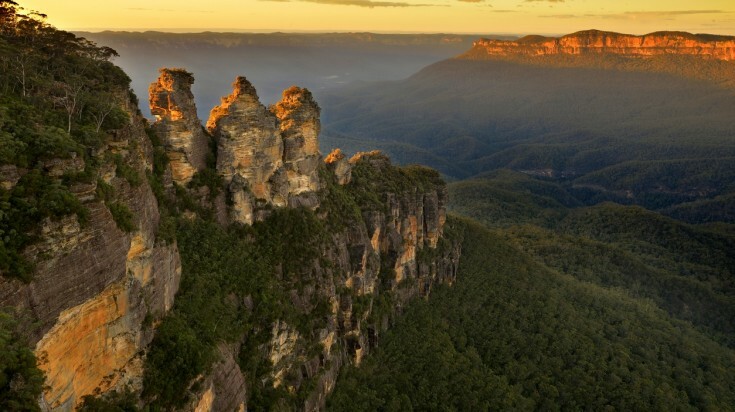 Take a bushwalk and enjoy a beautiful sunset view of the Three Sisters with this Blue Mountains sunset tour. 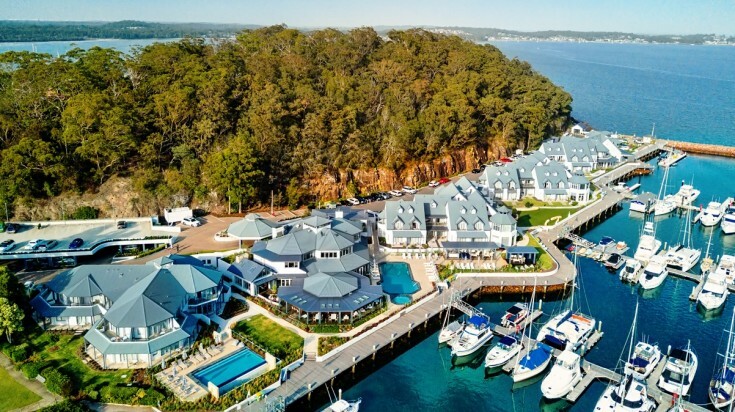 Around two and a half hours (180 km) north of Sydney by road, Port Stephens is regularly termed ‘the blue water paradise’ as a result of its spectacular ocean setting. The region lays claim to tens of kilometers of clean white sand beaches, including those of Fingal Bay with its spit walk to the burnt out remains of a lighthouse, and Shoal Bay, where you can paddleboard and canoe on pristine waters. On Stockton Beach, up to a kilometer wide in places and with dunes rising 30m, you can also try your hand at quad biking and sandboarding, not to mention swimming. 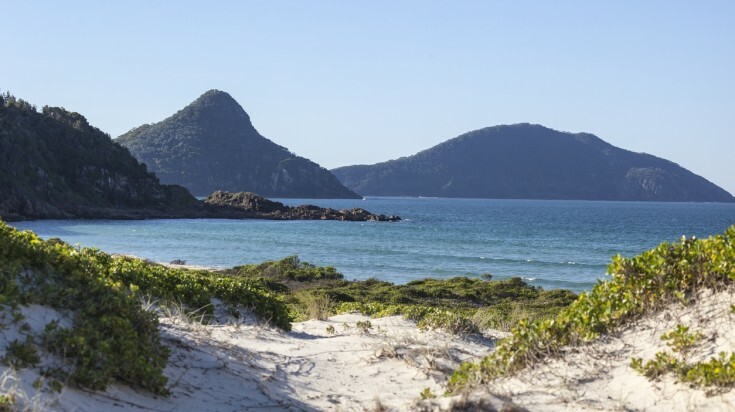 Enjoy a dolphin cruise, a 4WD tour and more in this Port Stephens tour. 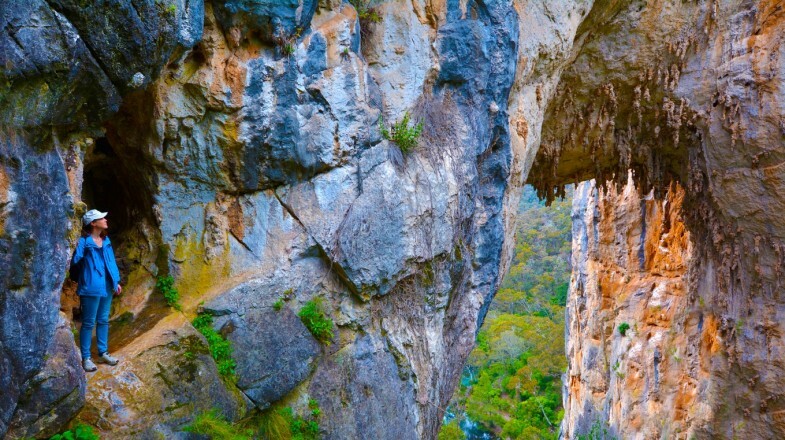 Found within the Central Tablelands region of the Blue Mountains, the Jenolan Caves are 175 km (2.5 hours) west of Sydney. Some of the oldest open caves in the world, stretching 40 km over several levels in total, they include spectacular natural limestone and calcite formations. 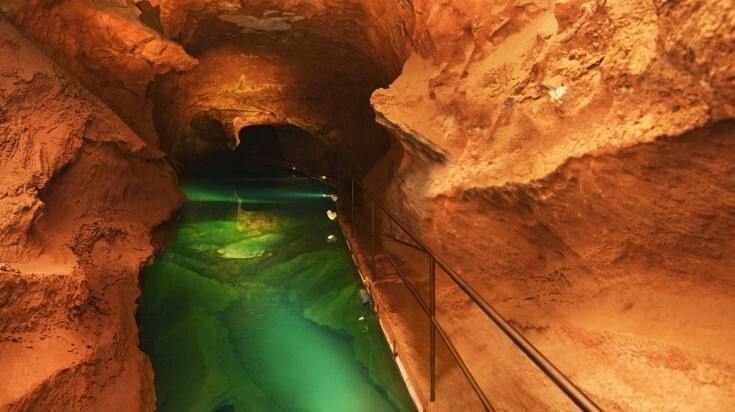 Eleven well-lit show caves highlight the very best of Jenolan, such as the Grand Column, Minaret and Queen’s Canopy in River Cave. Imperial Cave is one of the easiest for non-cavers to visit on a day trip, and contains some of the best marine fossil deposits, as well as bones of the Tasmanian Devil. One of the largest river valleys on the coast of New South Wales, the Hunter Valley is the oldest and perhaps most important of Australia’s wine-producing regions. With the nearest vineyards just 120 km north of Sydney, they can be reached in less than two hours. The Pokolbin area has a good number of wineries offering tastings, as well as restaurants, shops, and a golf course. Away from the rolling hills of neatly lined vines, the Richmond Vale Railway Museum runs steam trains on the first three Sundays of each month (and every Sunday during school holidays), while scenic cruises along the Hunter River and on Lake Macquarie are also popular activities for a short trip from Sydney to Hunter Valley. 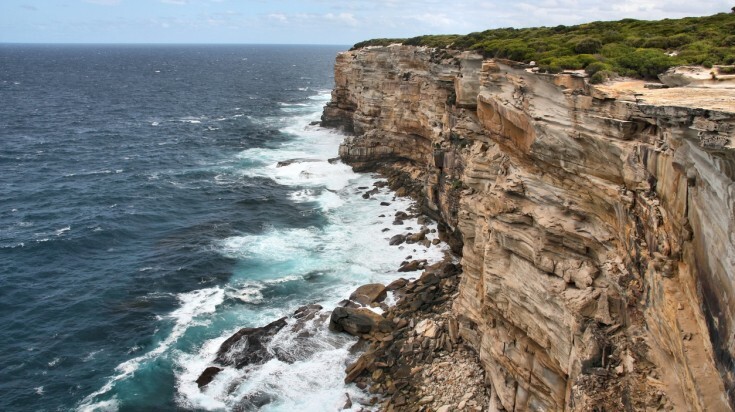 The Coast Walk in Royal National Park provides the best cliff-side views. Less than 30 km south of Sydney’s central business district, Royal National Park has more than 100 km of walking and cycling trails through native bush, palm jungle, and heathland. The most popular walk is Coast Walk, offering remarkable views from the cliffs of the park’s eastern edge. Covering 30 km, the trail connects Bundeena with Otford, but can easily be explored in shorter sections over a few hours. There are regular barbeque and picnic spots for those seeking more tranquility than a walk can provide, while the cliffs drop to form several fine surfing and swimming beaches accessible by road. Palm Beach attracts foreign and local tourists alike. 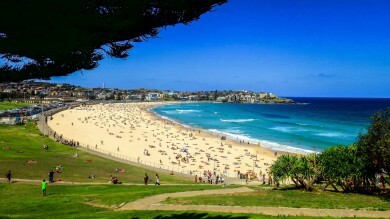 Known locally as ‘Palmy’, Palm Beach is a Sydney suburb 40 km from the center of the city. It sits on a thin promontory of land and attracts local and foreign visitors alike as a result of its sweeping stretches of golden sand and world-class surf. 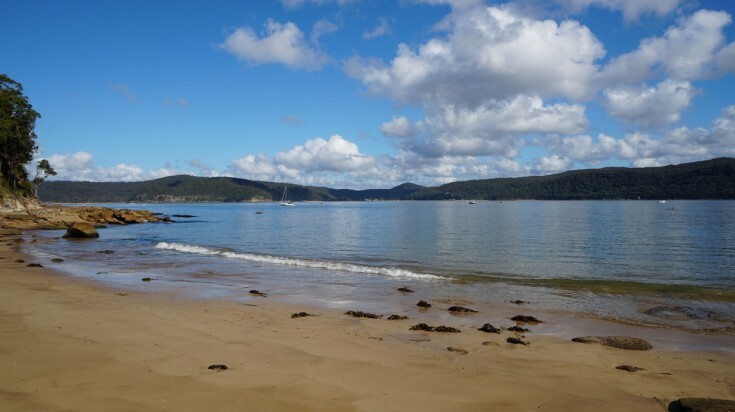 If the beach itself, running for 2.3 km between Barrenjoey Head to the north and Little Head to the south looks familiar, that may be because its used for exterior shots on the Aussie soap, Home and Away. There’s also a golf club, tennis club, and surf school for those looking to try out this most Australian of sports. Less than an hour north of Sydney at 25 km away, this national park not only has a fantastic natural setting on a southern branch of the Hawkesbury River, but is also an important site for Australia’s aboriginal history, with a series of rock carvings and artworks made by the region’s native Guringai people to explore. Sydney day tours provide opportunities to fish on the river, take boat trips on Broken Bay, and picnic at Bobbin Head, while the Duffys Forest and Terrey Hills areas are best regarded when it comes to walking tracks. 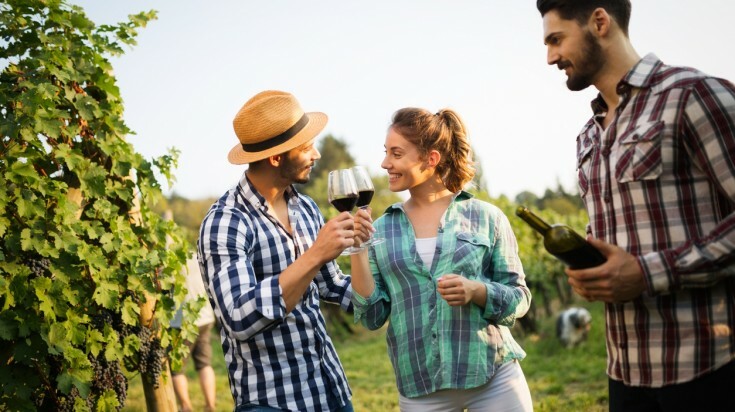 Sometimes referred to simply as the ‘Highlands’, this wild region of forest gorges speckled with roaring waterfalls and heaving with endemic wildlife is also known for the wines grown in Kangaroo Valley. Lying 110 km south-west of Sydney, several historic buildings can be found at Berrima, which can be reached in less than two hours by road and once served as the main town in the region. Today Bowral has unofficially adopted this title, with boutique shops and gourmet restaurants as well as the Donald Bradman Museum – a must for any cricket fan. 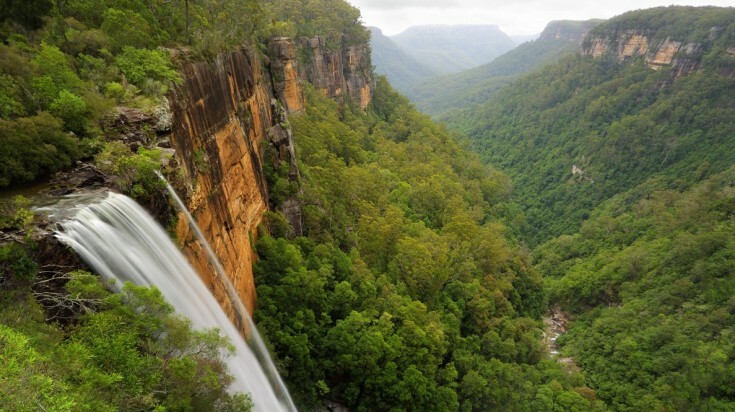 For the best of its natural splendors, don’t miss Fitzroy Falls near the village of the same name. You’ll find Mermaid Pools, a series of wondrous and isolated freshwater pools fed by the Bargo River in Tahmoor Gorge, 75 minutes’ drive south-west of Sydney. Though it’s not recommended to swim in the main pool, which requires 15m jump in and rope-climb out, there’s still plenty of reasons to make the journey, including the possibility of taking to the cooling waters at the See Through Pools instead. These pools have water so clear they offer incredible views of the underwater rock formations there. Keep an eye out for koalas too — this site was where they were first sighted by Europeans. 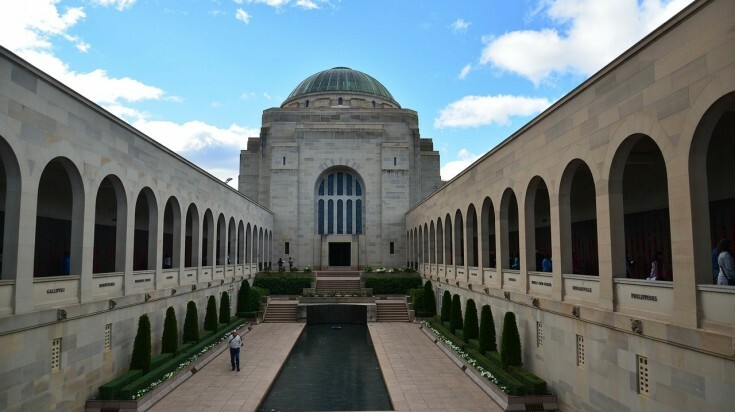 It may sound odd at first, but it’s perfectly possible to visit the Australian capital as a day trip from Sydney with an early start. 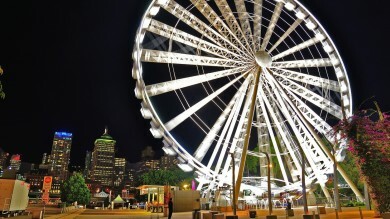 Located 290 km away or three hours’ drive from Sydney, this city was established in 1913. Canberra’s main routes follow a wheel-and-spoke pattern (best seen from viewing points on Mount Ainslie) and include significant areas of natural vegetation. It also boasts a large man-made lake at its heart. The site of Australia’s parliament, other major visitor-friendly attractions include the National Gallery and National Museum, which tells the country’s history through important people and events. 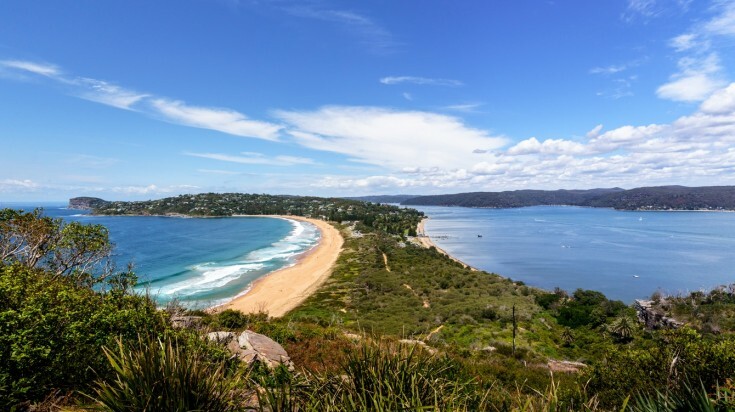 Whether you’re searching for a beach break, bush walk, or cultural outing, opting for one or more day trips from Sydney is a great way to explore more of this enchanting country.